Gonna brave it out a second night in a row and watch #Leprechaun2. So what’s everyones’ take on this series, really bad continuity, a different leprechaun every movie, or something else? 0:08 What’s wrong Jenny, too good for sequels? 0:16 I’m not sure what this haunted tour thing is all about, but I’d kill to go on one! 0:20 Super charged leprechaun in this one. 0:21 If I have teeth nightmares I’ll know why. 0:24 How can there be 6 seatbelt violations if there were only 5 people in the car! 0:30 I bought you chili dogs, why won’t you sleep with me? 0:32 No wonder why this guy is in Harry Potter, he already is a wizard in this movie. 0:46 Let leprechaun crossed his fingers, we got a badass here. 0:51 The leprechaun really is creepy looking in this one, I’m not too sure what about him though. 0:54 No drinking & levitating. 1:11 This movie is the ultimate corn of corny movies. Well, one of the most at least. 1:20 Bridget has such an annoying voice. 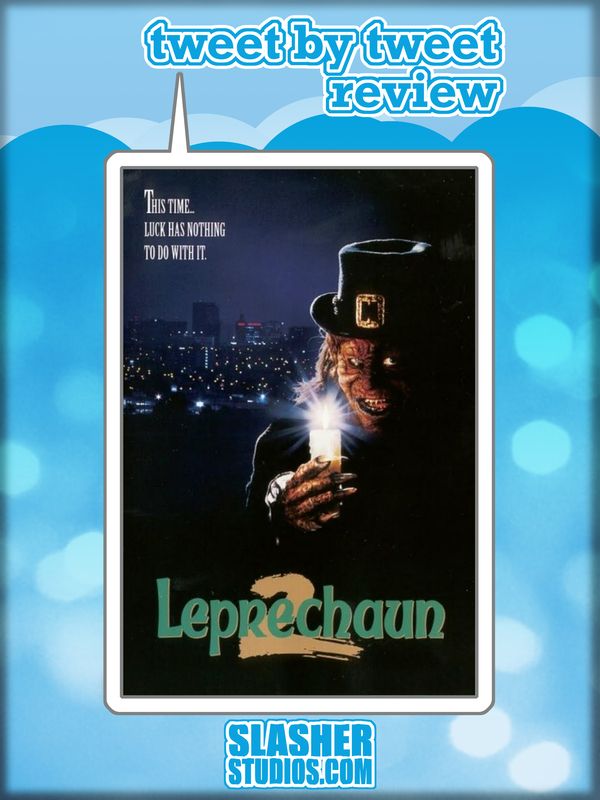 I liked #Leprechaun2 more than the 1st. Though the inconsistencies it had were ridiculous,it flowed better than the 1st & was a little funny.